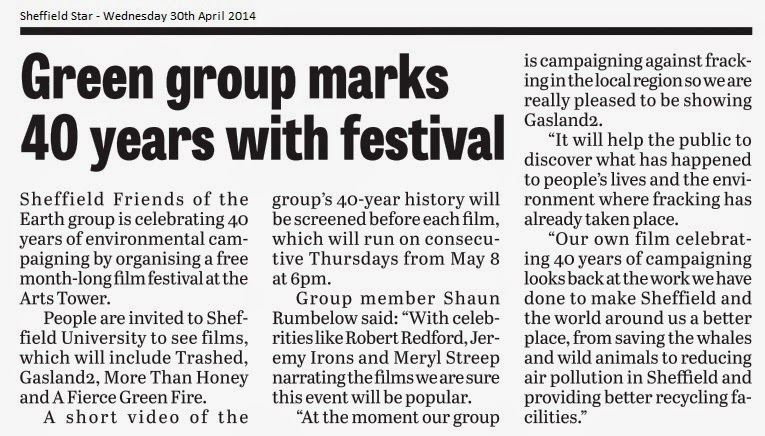 Shaun is contacting as many other local groups to publicise the film festival. He has also produced a 5 minute video celebrating our past 40 years of campaigning. This will be shown before each film. • Gasland2 - Dave Burley from Frack Free South Yorkshire. 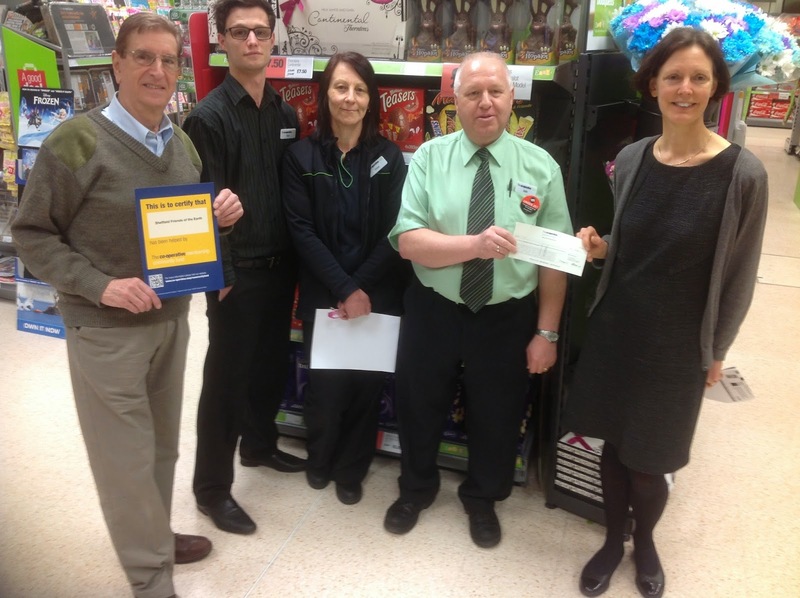 Liddy and David were presented with a cheque for £400 from the co-operative at their Pinstone Street branch by the store manager and a couple of his staff.